Over the last few months there have been a gaggle of gogos closed down (i assume plural gogo is a gaggle) but no sooner than one closes then another opens up from the ashes and this week’s Wander takes in the ex-Teasers Coyote club location (Walking st cross from soi Happy) that has turned into Crazy House agogo. This long length gogo has tried to give the carnival decor a whirl with pink funhouse mirrors adorning the walls as well as a strange red/blue strip light combo. On both sides of the central gogo circular stages we have squeaky bench style seating and a you’d-miss-it-if-you-blinked, jacuzzi shower area nestled half way inside. What Crazy house does have in droves is gyrating women. I counted approx 10 dancing on seperate podiums and a huge amount sitting around either playing hostess or chatting. 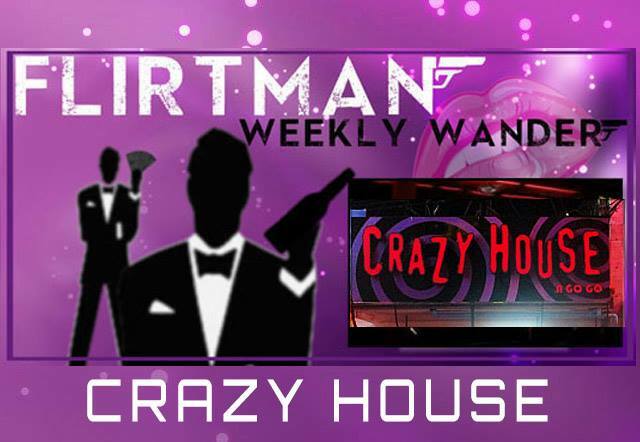 When FlirtMan wandered in around 11.30pm Crazy House lost a little of the “craziness” when i spotted a few girls sleeping, eyes closed on a few of the sofas. Not really the kinda atmosphere you want on a night out. In fact it saddens me to say that the whole bar on this evening lacked any “wow” factor amongst the mostly over-weight workers. Their ttire had no theme to it and it all looked a bit dis-jointed. Drinks-wise they do the standard draft beer at 80 baht but it really did look on the small side and to make things worse the beer had a over-the-top large foamy head which when settled meant the beer looked even less value. One can only surmise that you dont need to attract expat or locals to this joint and rather just rely of passing tourists that get continually replaced every 2 weeks. I’d love to say the music and dj were interesting and unique but unfortunately it was standard fare and uninspiring. 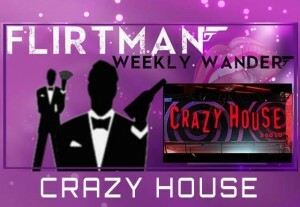 The guys at Crazy house should pop into joints such as Champagne and Crystal to see how it’s done on the music front. All things added this gogo is a bit of a dissapointment and it confuses me how they can stay open. Maybe they wont. The only Crazy bit would be if you returned.